Leonard Nimoy was beloved by geeks everywhere -- even fictional ones like Sheldon Cooper on "The Big Bang Theory." So it was fitting that the CBS comedy paid tribute to the actor who played Mr. Spock on "Star Trek," following his death last week at the age of 83. The vanity card at the end of Thursday's episode featured a picture of Nimoy with a caption that read, "The impact you had on our show and on our lives is everlasting." Sheldon's obsession with Nimoy has been a running gag on "The Big Bang Theory." He's dressed up as Spock, played the game "Rock, Paper, Scissors, Lizard, Spock" and in another episode Penny gives him a napkin Nimoy used and autographed at a restaurant. 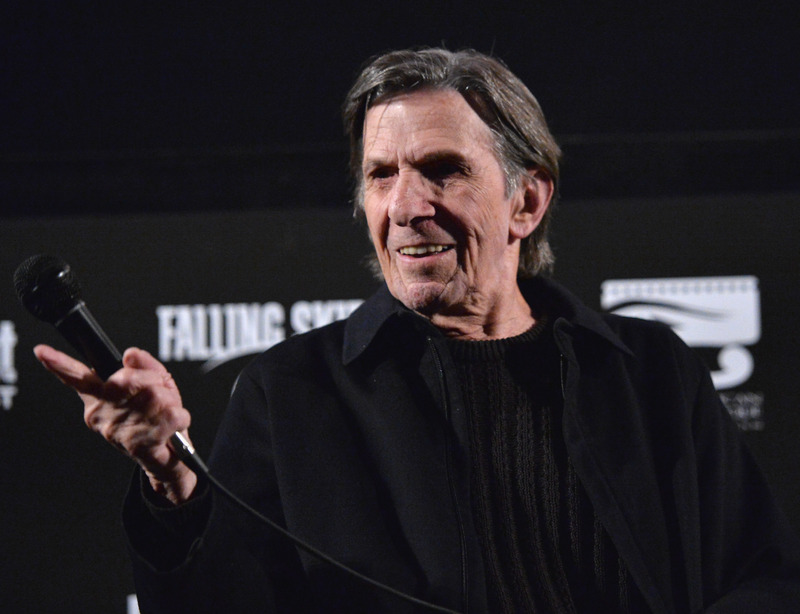 Nimoy never physically appeared on the show, but he did appear in a dream sequence (as the voice of a Mr. Spock action figure) during a 2012 episode. After news spread of Nimoy's death on Feb. 27, members of the "Big Bang Theory" cast were among those who took to social media to pay their respects. From the @bigbang_cbs set. RIP Leonard Nimoy.